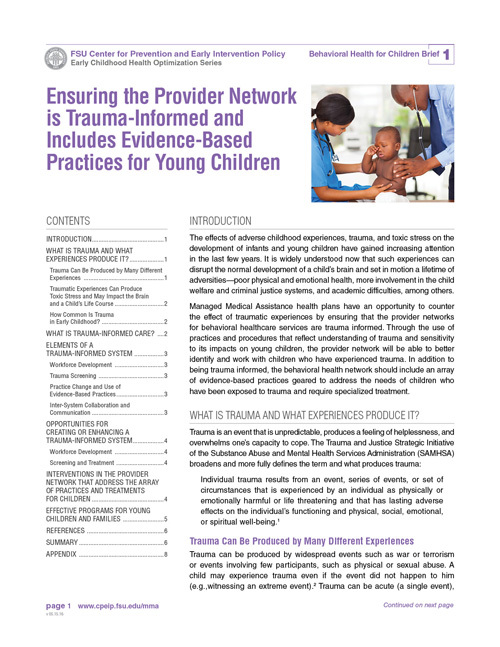 There are a number of evidence-based interventions appropriate for families with young children who have experienced adversity. 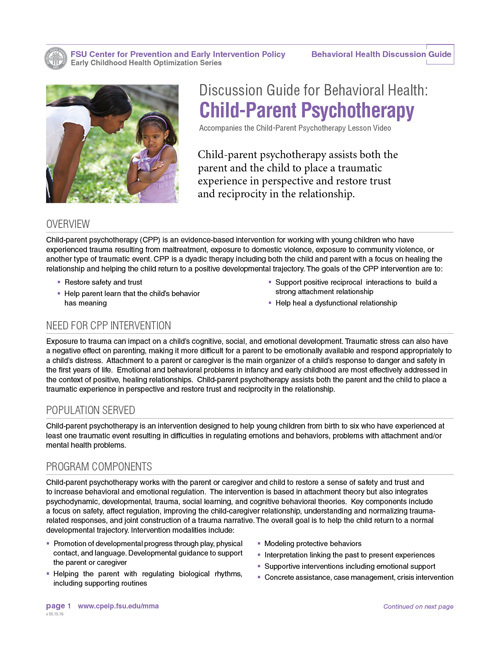 As each family has unique treatment needs, it is important to select an intervention that is most appropriate to meet those needs. 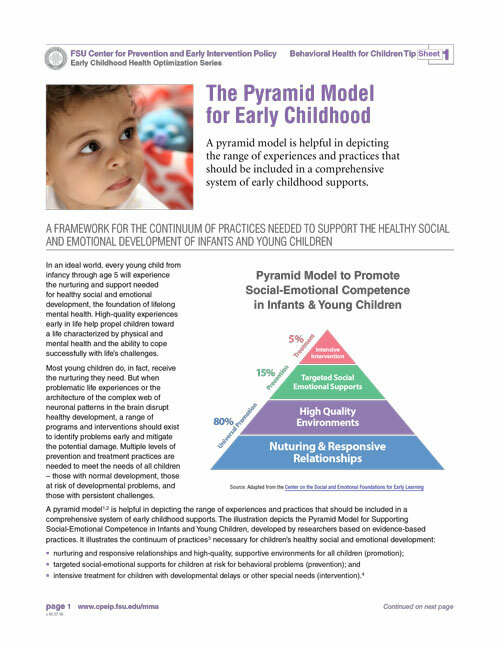 These three interventions were selected only to highlight the continuum of options - from early intervention with targeted social emotional supports and the treatment model for those families needing a more intensive intervention. They are not the only treatment options. 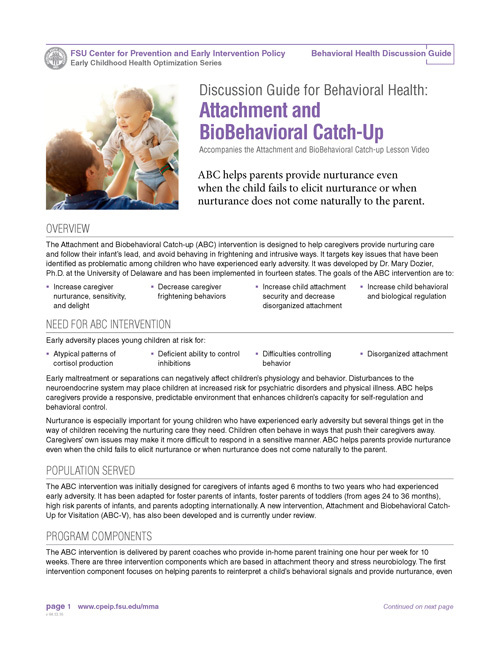 Learn from Dr. Mary Dozier, the developer of the Attachment Bio-behavioral Catch-up treatment intervention, about the core elements of the model and its proven effectiveness. 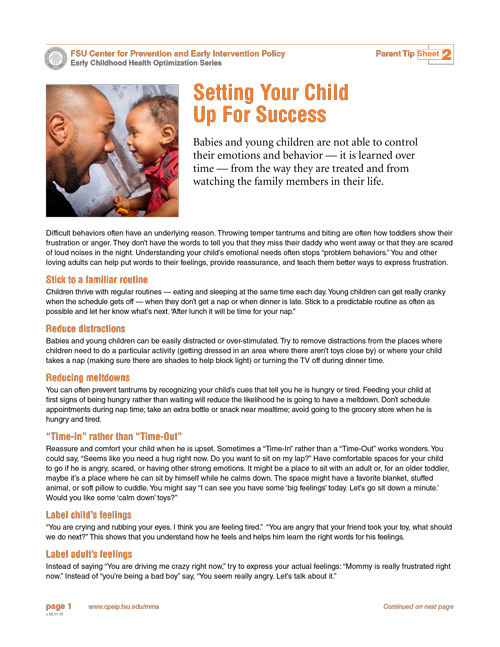 You’ll also learn how to support parental nurturance. 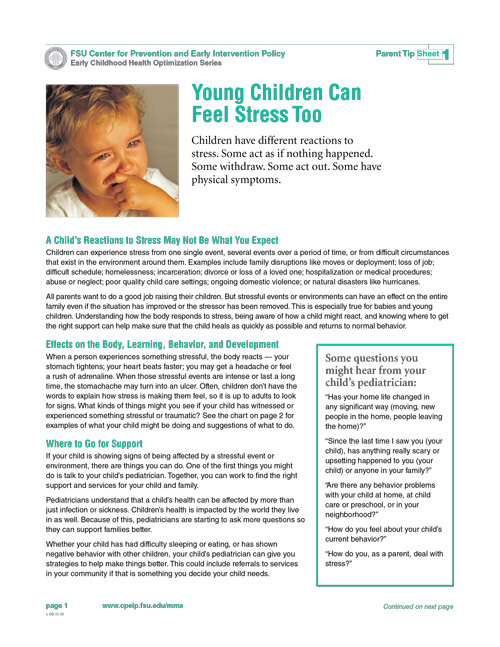 Watch Dr. Neil Boris, child psychologist, discuss the importance of supporting a child's sense of security within the parent-child relationship. Using the Circle of Security model, you can help parents identify, understand, and support their children's attachment and exploratory needs. 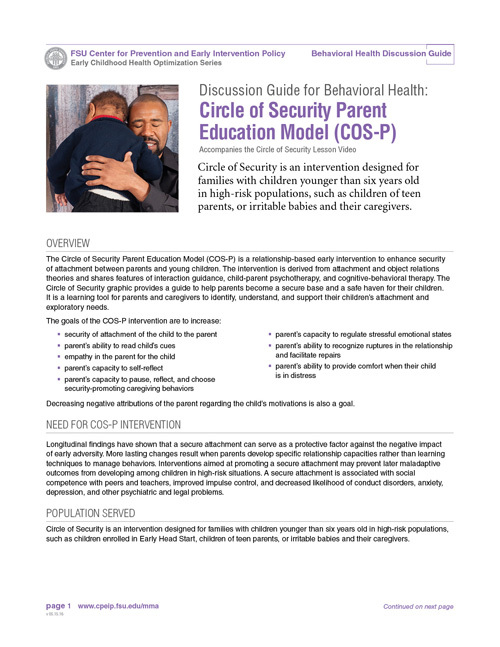 Parenting Interventions: What is the Circle of Security and Why is it Important? Joy Osofsky, PhD explains how Child-Parent Psychotherapy assists both the parent and the child to place a traumatic experience in perspective and restore trust and reciprocity in the relationship.